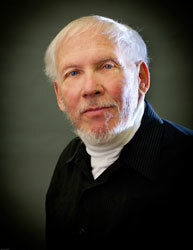 Paul Kriese has endowed one of the largest gifts from a faculty member to Indiana University East and the School of Humanities and Social Sciences (HSS). The Indiana University East Center for Leadership Development will host a Management Series workshop on Engaging Employees from 1-4 p.m. on Wednesday, March 12, in the Whitewater Hall Community Room. Registration for the workshop is available online. 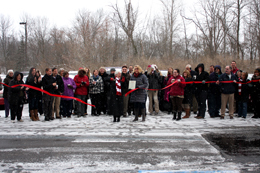 Indiana University East along with the Wayne County Area Chamber of Commerce celebrated the opening of a new parking lot, located behind Hayes Hall with a ribbon cutting ceremony today (January 17). As part of the ceremony, IU East gave away #RedWolfNation ice scrapers to all in attendance. Indiana University East welcomes minority and women business owners in the Richmond area or surrounding counties to campus for a resource workshop. The workshop will be held from 9 a.m. to noon on Wednesday, October 9, in the Community Room, located in Whitewater Hall. Registration begins at 8:45 a.m.
Indiana University East Center for Leadership Development and the United Way of Whitewater Valley will partner to provide this year’s Academy for Cultivating Talent (ACT) program. The Indiana University East Center for Leadership Development will host two workshops in May. The first workshop, “Becoming an Employer of Choice: Creating a High Engagement Workplace,” will be held on Thursday, May 5. The workshop begins at 7:30 a.m. with coffee and informal networking followed by the presentation from 8 a.m. to noon. The workshop will be held in the Whitewater Hall Community Room. Indiana University East is establishing a Center for Leadership Development sponsored by the School of Business and Economics. The center is a campus and community resource focused on creating and offering leadership development initiatives to enhance the managerial and leadership capacities of the region.